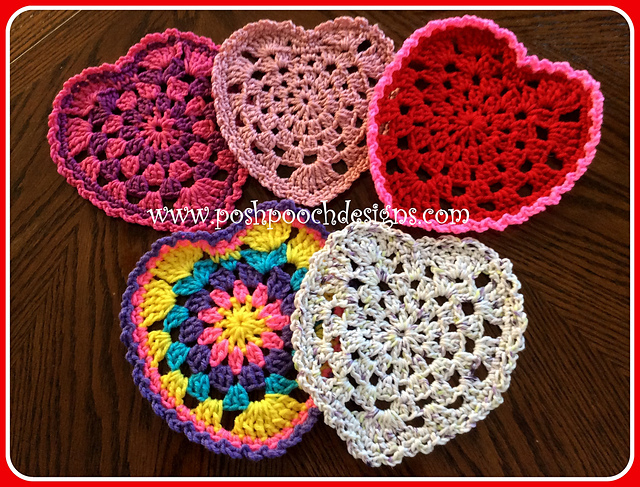 Learn how to make these simple and lovely crochet heart doilies that will beautify your table settings and are also so beautiful as an embellishment for a Valentine card. These lacy Heart Doilies by Sara Sach with a pretty intricate design create an air of charming femininity around the house. Pretty and colorful, these hearts look beautiful displayed on dessert tables or under plates, they are beautiful and artful, total art from the heart. This 3D Swan Doily Is Amazing! 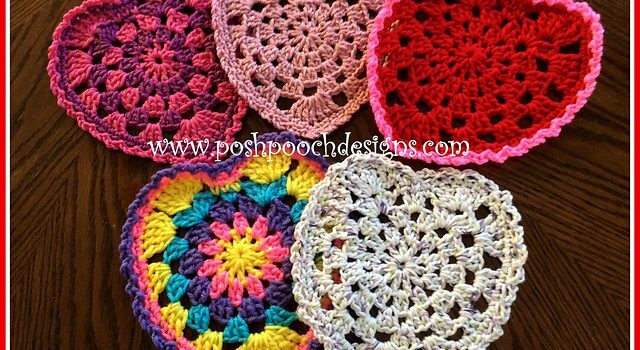 Check out the original source for this Granny Style Heart Doily Free Crochet Pattern with all the directions and full written pattern at: Posh Pooch Designs. Thanks to Sara Sach for the article inspiration and featured image.